Note: I sat on this post for nearly two weeks, debating whether or not to publish it. Few topics are as sensitive and reflective of one’s world view as happiness is. It’s easy to glibly opine about the stuff burbling away in your brains and put it up on the internet. Here’s hoping that whatever you make of these ruminations, you’ll come away with a sense that this post was not easy for me to write. I love The Wire. It wasn’t always that way- but now that I have come to see such good in Baltimore, it means something different to me than when I first watched it a few years ago. We were talking about favorite characters the other day, and of course McNulty came up. I mean, how could he not? So when P said something to the effect of, “…he thinks he knows what happiness is but can never find it.” it got me thinking. My relationship with happiness is a complicated one. Any of my friends, regular readers, and probably people who meet me on the street could tell you that I am completely permeable. The opposite of thick-skinned. I’m a big feeler. I’m also of the opinion that happiness is to a large extent, a choice. Easy now, quickdraw. I’m not saying that it’s simple, or that melancholy does not have a place. I suppose I think it’s a something of a habit to try and get into. A matter of not surrendering to the instinct to crumble or become resentful; a mental contract with oneself to police the inner narrative as best you can to remain buoyant and functional. It’s not an insurance policy against misery. It’s more like a tether that keeps you attached to a balanced view of things, so at least when you’re absolutely subterranean with despair, you know that there is something else out there for you to behold. I think about happiness all the time. Not only because many of my students are adults who take up the cello as a fulfillment of their own desire to be happy, but because one could take my life story and easily narrate it as the sad tale of the wandering cellist whose life has been plagued by insult, injury, broken dreams, and falling down in public. Instead, I see my life as astonishing and charmed. Sometimes it takes a while for the heartache to crystallize into something I can rebrand as beautiful, but it’s a process worth investing in. It helps me get out of bed each morning, and makes me a good giver of pep talks. I got pep coming out of my ears, but it’s not for lack of melancholy- it’s because I know it so well. My class and I watched a rather silly Mahler documentary the other week. Of the few salient points was the discussion of what sad music, written under conditions of obvious duress, does for the wounded soul. Conductor Christoph Eschenbach recounted the tale of his entire family being carted off to exile and eventual death in the Nazi camps, and how the pain in Mahler’s music created healing in his own soul. He called it “A minus and a minus makes a plus.” I’ll admit that in times of discontent, I reach for Beethoven and Shostakovich with the well-practiced mechanism of anyone with a dependency. Sometimes I’ll even “hurt myself” with some Copland just so Feist or Radiohead can heal me up again. This well-documented kinship through pain reaches farther than music, and I’ll venture to posit that Art (yes, with a capital A) is magical in its ability to take the ugliest that humanity has to offer and at the least gives it a place to go and at best contributes beauty and solace in its perspective. It makes sense that I was nearly sick with grief when I was recovering from my arm surgery: I had nowhere to vent the discouragement and anxiety that routinely try to ruin my days. Back to the topic at hand. I think part of the problem with talking about happiness is one of semantics. What does it even mean? To me it’s along the lines of contentment. There’s an open quality to it, but it’s different from joy and downright distal to elation, which is fun but unsustainable. Like so many things, it’s actually there all along, but you just have to stop looking for it like some miraculous parking space in front of the ball park. It’s more like turning the car off right where you are, in the middle of the highway, and hearing the sound of the other drivers’ horns as your new favorite song. Maybe it’s about being right where you are and being ok with it. Maybe happiness is a way of looking at life instead of something one can acquire under the right set of circumstances. 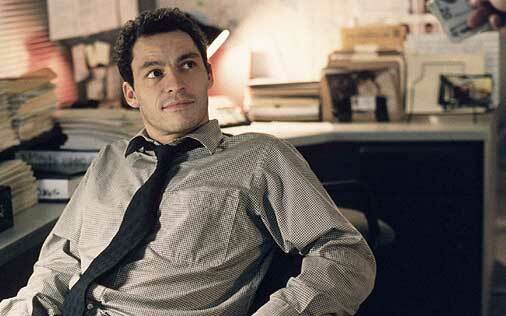 McNulty was the character most of us rooted for when we watched The Wire. So smart. So full of swagger. Handsome devil, to boot. I ached when I would see him sliding into self destruction after the things he most desired slipped from his grip time and time again. Oh McNulty, your travails are not for nothing. If you’d stop looking for ways to escape, you’d see how much better a room is just because you’re in it. I love this post, Emily. I’m glad you decided to hit the publish button. Thank you for writing this, Emily. Beautiful, Emily. The room is always the better for it with you here. Wandering Cellist? 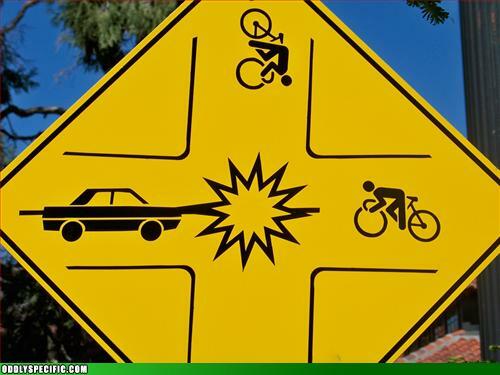 @cellomike perhaps? Except I don’t think of him as that. However, in my own life…the broken dreams, the heartache; I’m finding peace in just being; me. Your writing style is beautiful Emily. Hmm. Taking ownership of one’s happiness is a difficult thing to do. Most people would rather victimize themselves than take responsibility for their malcontent. In the past few weeks I’ve been forced to learn that the people I love, as much as they may want/try to, can’t always throw me a line, they can’t always save me. But just when I thought it was all too much, instead of walking away I had no choice but to cling to my Art. It can save me, because it comes from within me. And when I find the varnish dripping with tears, just being OKAY is more than enough. Just surviving… breathing… being upright for god sakes. I’m learning to see that my happiness is reflected in everything around me. It’s in the sunshine, the acorns crunching under my feet, the 1st Suite EVEN when I royally eff it up, all the wonderful things I’m able to do with my body. I have ALL FOUR LIMBS! That is SO EPIC! One day at a time, yeah? Thanks for publishing this. A lot of wisdom here. Beautiful clarity, Emily. The things that you most hesitate to publish are probably the things that most truly need to be published. I love this post. Let’s celebrate with a dance, shall we?